Need a same day garage door installation? When garage doors break down, it can be a stressful experience. Girard's Garage offers comprehensive garage door services including same day service and replaces broken springs, broken cables, rollers, damaged sections replacement of defective parts to give you peace of mind. 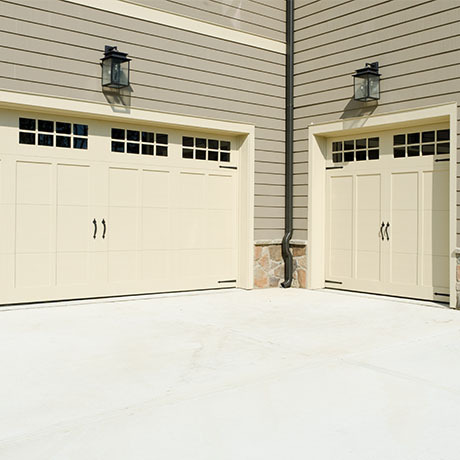 At Girard's, we install and replace garage doors with the utmost care and professionalism. We are equipped for 24-hour emergency service. We will treat your home like it's our home and respond to service requests as fast as possible to ensure that you're property is safe and secure. Our commitment to high-quality service is allowing us to continue to expand in the garage door industry and we strive to go above and beyond with every garage door installation and replacement. We are the premier garage door installation company in the Lehigh Valley. Girard’s Garage Door Services offers Amarr garage doors and Clopay garage doors in a wide assortment of colors, materials, and styles to suit your home and personal taste. Our knowledgeable garage door installers can answer any questions you have regarding the characteristics of vinyl, steel, and wood replacement garage doors. We also offer carriage house style doors and wind loaded doors, better able to withstand the ravages of nature. Whether you need garage door replacement due to damage or if you are performing an affordable home improvement, garage door installation costs can be offset with Energy Tax Credits on specific models.